Since about 10pm last night I've had frequent (4 in the past 3 hours) disconnects which are solved by resetting my cable modem. Anyone else (especially in the Upper Hutt/Trentham area) having a similar time? I've been with TCL since July and this is the first time I'm had multiple disconnects that I've noticed. This may be happening Wellington wide. As I have noticed people in NaeNae and myself in Johnsonville having drop-outs too. This was taken from the TCL network status page, and as it is still active I would assume that it is still ongoing. TelstraClear would like to advise it customers that due to network up-grades & maintenance in the Wellington area, there will be an outage for a duration of up to 5 minutes between midnight and 6:30am Wedneday 19 December. 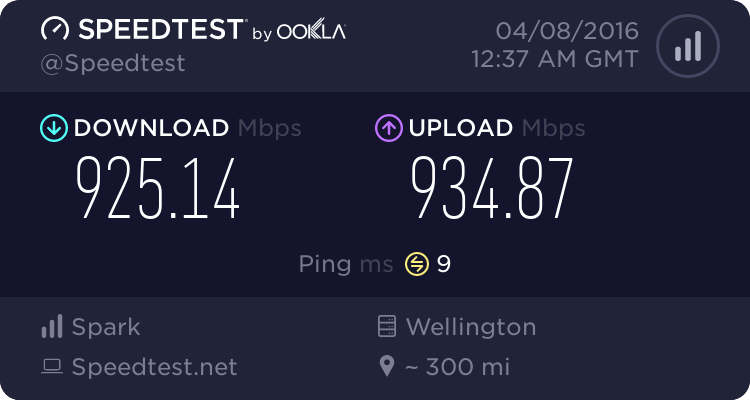 I'm in Lower Hutt having multiple disconnections too. Customer Impact: Currently, Paradise customers will be experiencing intermittent browsing issues to international websites. Engineers are currently investigating with an eta of midday today. We apologise for any inconvenience this may cause. Yes we had mad disconnect issues last night also. But I am located in Chch, no where near Wellington. It was between 11pm-12pm. We eventually gave up on the internet and went to bed. But as Matt1's post describes, that it is nationwide. My recommendation is DON'T turn off your Cable Modem... If you do you will spent HOURS for it to re-connect, as there seems to be a problem with the Cable Modem backend. If it's running slowly then it's running slowly... If it's not working but all the lights on the cable modem are up then ring the helpdesk, don't take no for an answer or "we are working on it".. make a complaint, then if you do it enough times you may get a months credit. Havn't been on the internet for the last 3-4 days but today it seems ok in the Miramar area.